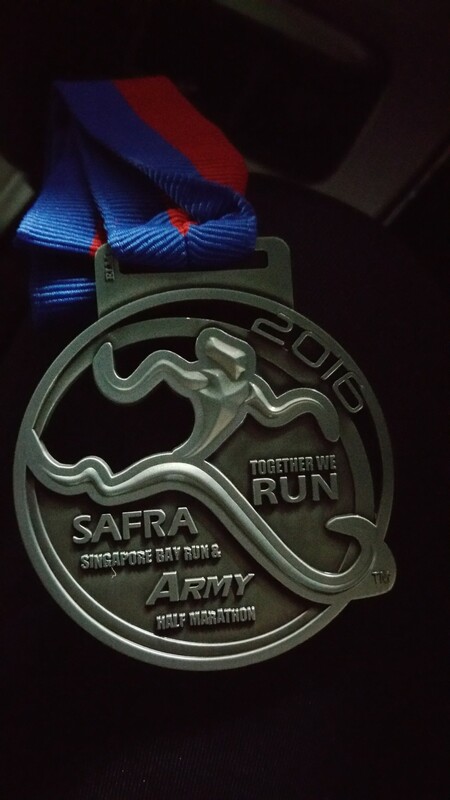 Race Review: SAFRA Singapore Bay Run & Army Half Marathon 2016 [HM] (by KenJoe) | JustRunLah! I took a 3-week hiatus from my weekly races. I was glad to have some time to recover from the injuries I had sustained. 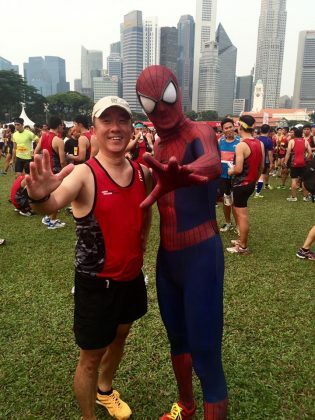 Still, I got back to running short distance at slower pace by mid-week. 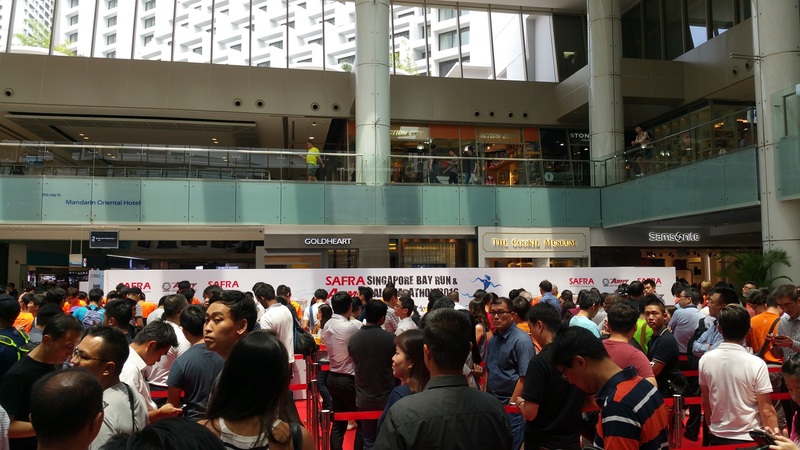 One week before the SSBR & AHM (quite a mouthful in full so I am using the acronym instead), I went to Marina Square Mall to collect the race pack and was greeted by a long queue. I quickly joined the queue for the Half Marathon. My running buddy, Chia SY, was on his way too and he soon joined the other queue as he had opted for the 5 km fun race. 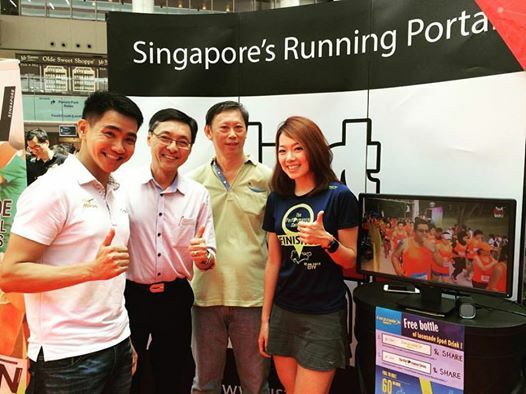 We also met Zhi Yong and Yvonne Siew from JustRunLah who are the creator and ambassador of the Performance Series respectively (next in October !). They definitely looked very fit and trim in person too ! 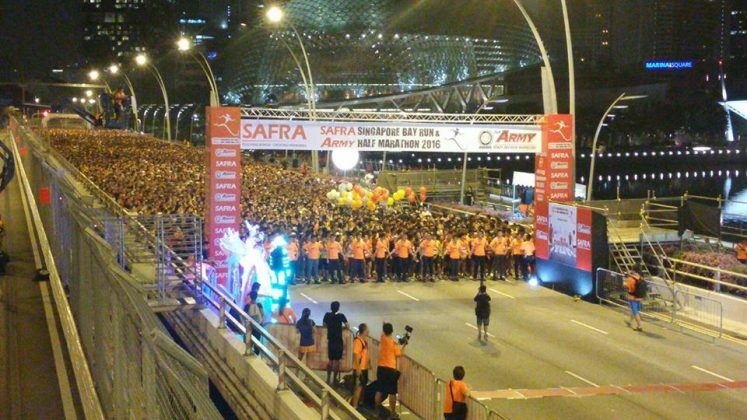 This SSBR & AHM event was the 24th edition and it had skipped last year. 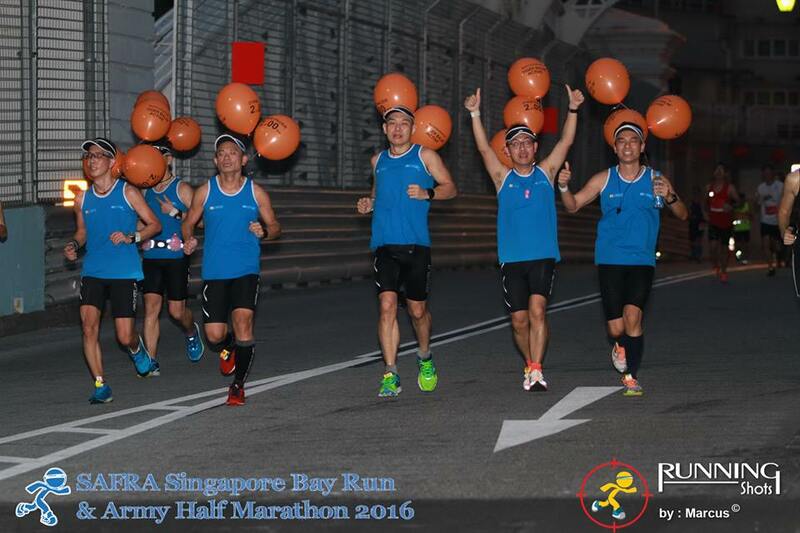 Loyal runners appeared glad to have this back and many had praises for this round vs last year’s based on comments after the event. It is my first year in this though. 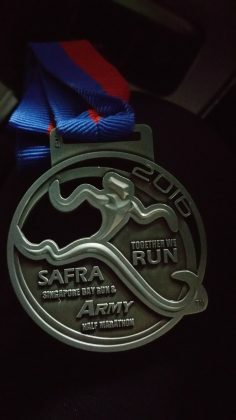 It featured two competitive categories – the 21km Army Half Marathon and SAFRA 10km Race, as well as two non-competitive categories – the SAFRA 5km Fun Run and Families for Life 800m Challenge. 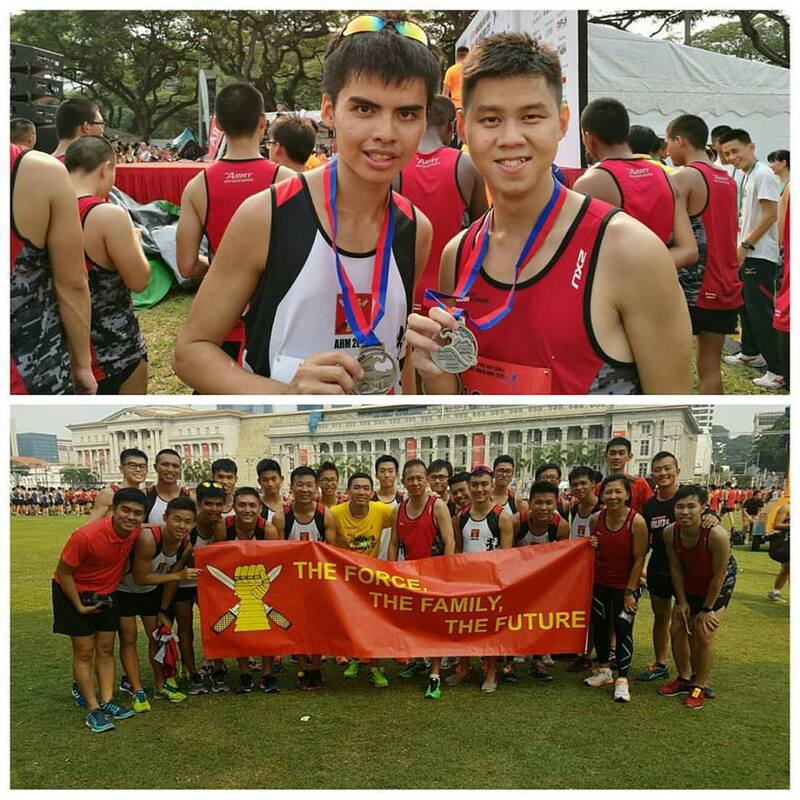 Singapore Armed Forces (SAF) Operationally Ready NSmen (ORNS) and those who have completed their ORNS training cycles enjoyed a significant discount of over 75 percent on registration fees for the 21km, 10km and 5km categories. 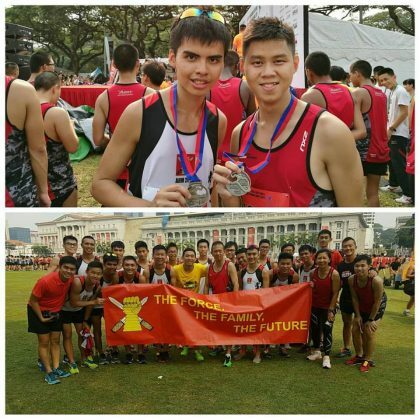 Their immediate family members and also those of SAF active servicemen enjoyed more attractive registration packages from as low as $9 for the 5km category onwards. 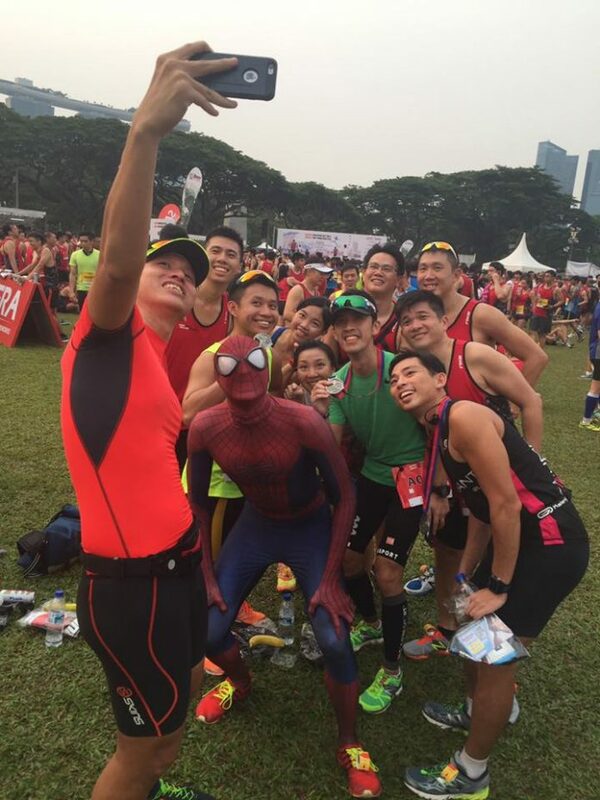 This, I think, was a plus point too, for attracting the over 42000 participants as reported after race day. 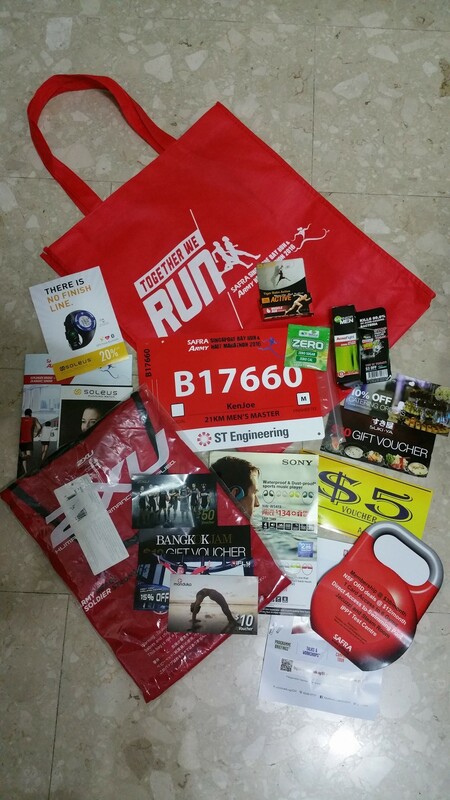 I had no idea of the final number at that time in the queue, but I was prepared for long queues for race packs, after having done this for the 19th time this year for the competitive races. It took about half an hour for me to reach the counter and the pack was handed over in less than 3 minutes. The race pack besides containing the usual, also had an event guide that showed information on the programme, carnival layout, instructions on race day, bib, route map, pacer information etc. Very comprehensive. 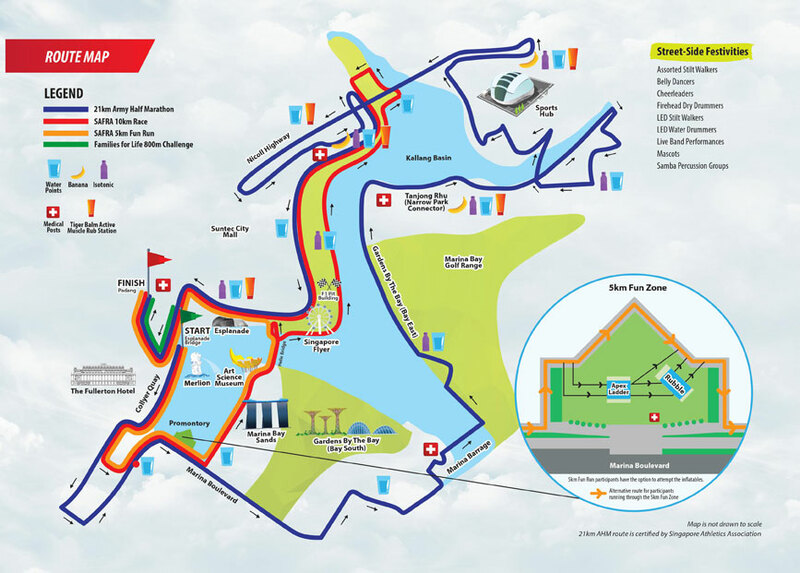 Still, many might have also appreciated the online version available more, and also the road closure details on the site, nearer race date. 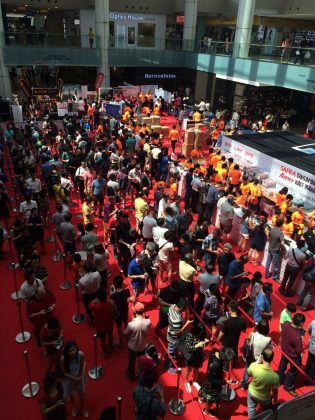 I drove to the Raffles City Mall car park, and made my way to the venue, just in time to hear the DJ counted down from 10. But the crowd was huge and it took a long 7 minutes before I crossed the official start line. 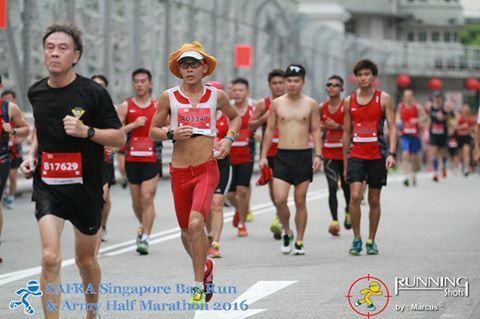 For the first 8 km, I felt good and ran at a comfortable good pace, overtaking folks throughout the 8 km. 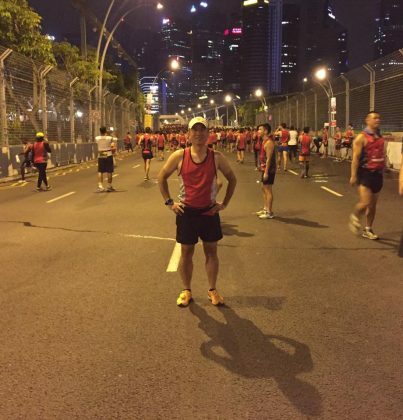 I was also counting my blessings that the haze didn’t worsen overnight so I was ready to enjoy the race. The first hydration point seemed a bit sudden. I spotted it, but I didn’t stop. A few runners ahead had shot past the point some distance before realizing they had missed the hydration point. A few backtracked and a few just muttered darkly under their breath. This was one race where I saw that at every hydration point, the runners were all packed (usually 3 persons deep) around the hydration points along the whole stretch of long tables, each time. Hydration points were available every 2 km or so. I stopped only at 4 of these points not wanting to add to the layer. Besides water, there was 100 plus provided at some stations though I only managed to get them at one station only. Towards the end, I saw some volunteers handing out bananas too. I skipped that too. 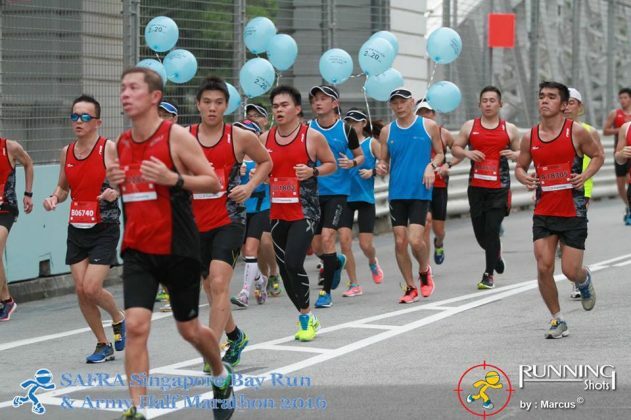 I must have missed the first few distance markers somehow too for first 3 km. I saw the 4 km marker and after that, there were clear distance markers every 1-2 km. The frustration of the runners came after the 8 km mark. We hit the bottlenecks one after another where we actually had no choice but to shuffle slowly across. The runners this time too were also rather vocal, perhaps because of the vigor and youthfulness of the majority of the runners. But it was just pure vocal venting. 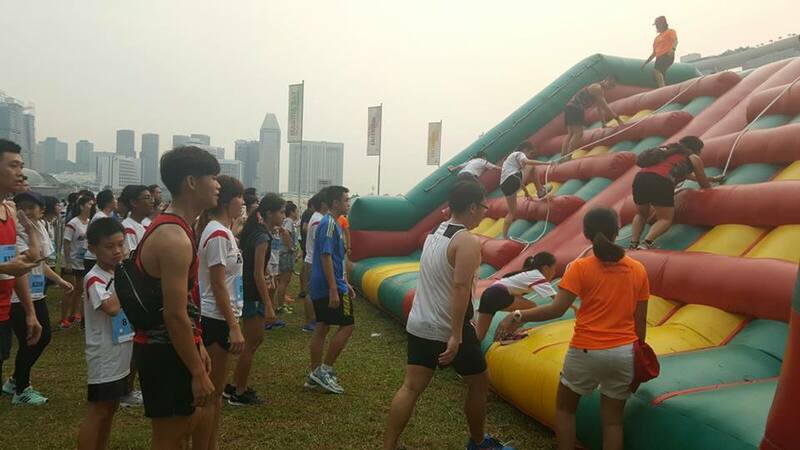 No one was pushed nor any kind of mishaps happened. Everyone was still pretty good natured though a few voiced the same thoughts I had. No more PBs for this race ! I counted 3 major bottlenecks and 2 minor ones in that short, about 2 km or more stretch. One stretch was just beside the reservoir water where a barrier separated us. I saw the narrow corridor on the other side of the barrier and entertained thoughts of ‘Spartan climbing’ over and running along the inside, free of the crowd. But it was just for brief relief. I dismissed the thought almost as immediately. By that time though, I had lost the original rhythm but tried to make the most out of it. The strange thing at that time was that I was still able to overtake folks throughout. (Later, I realized it could be due to just the sheer number of participants.) It was getting rather humid and slowly warming up too. 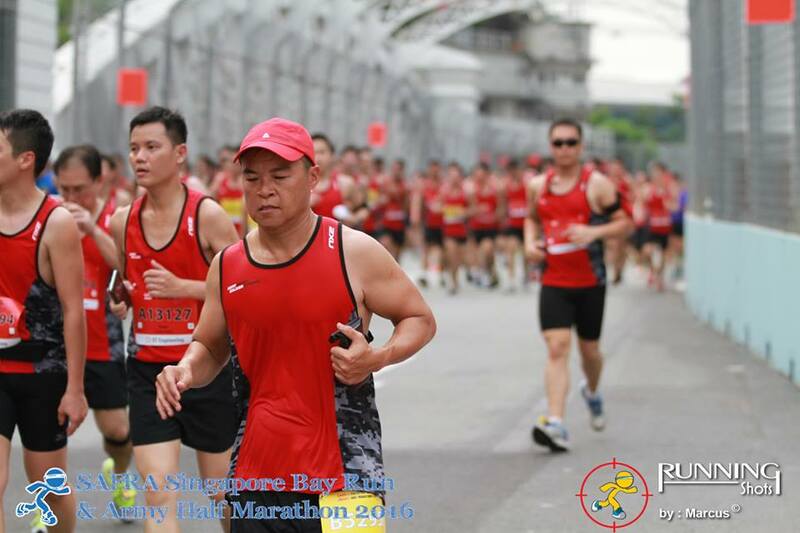 When I reached the finishing point, we were separated into the 10 km and the 21 km category to collect our finisher medal and Tee. 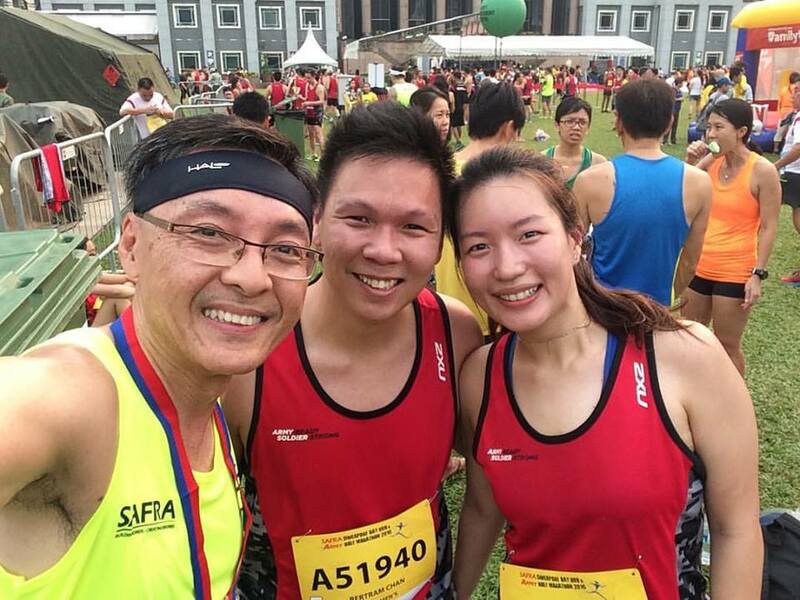 It was then I realized that the majority of the runners I was running with, then, were from the 10 km category, as they all branched towards the left. No wonder they looked so energetic ! We were also rewarded with one can of 100 plus and one banana. I thought of asking for one more can when I saw the volunteer glaring in response to someone else who had just asked before me. He seemed to be saying, ‘how dare you ask for one more can?’ and pushed the can instead to next in the queue, me. I thought well, probably instructions were given clearly and they must be really short of 100 plus due to the huge crowd this time. Still, probably they could be nicer about explaining the shortage or limitation. Overall, for a crowd of over 42000 strong, the event was well organized. To make it even better, it would be great if there were more controlled waves, perhaps for a third of the mass who might be wanting to run a good competitive pace though not podium finishers, given the narrow stretches at certain parts of the route. The route was fairly straightforward and though there were loops, I didn’t find it dull but enjoyable to take in the fresh air in the early dawn period. 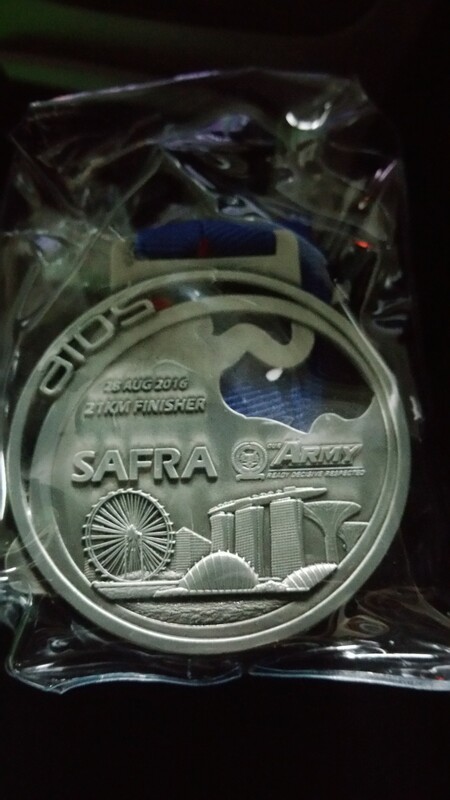 I liked the design of the medal and it is of good quality. I read about a couple of folks getting the wrong distance medal and hoped they could be exchanged by the organizer somehow. The timing was also released very efficiently, within a day, despite the volume. It is one of the highest value for money race so far. I am sure many, like me, would look forward to the next one too. Runners may be loners at times, but they are not lonely and know when to have a good time, especially during and after races too (just look at their smiling faces) ! 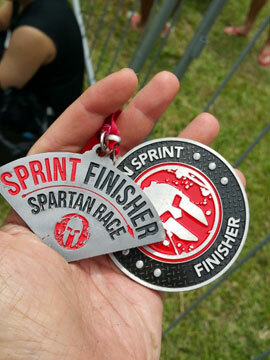 For me, this half marathon is also a prep for my next huge challenge, Spartan Beast ! But a few more races before that too. 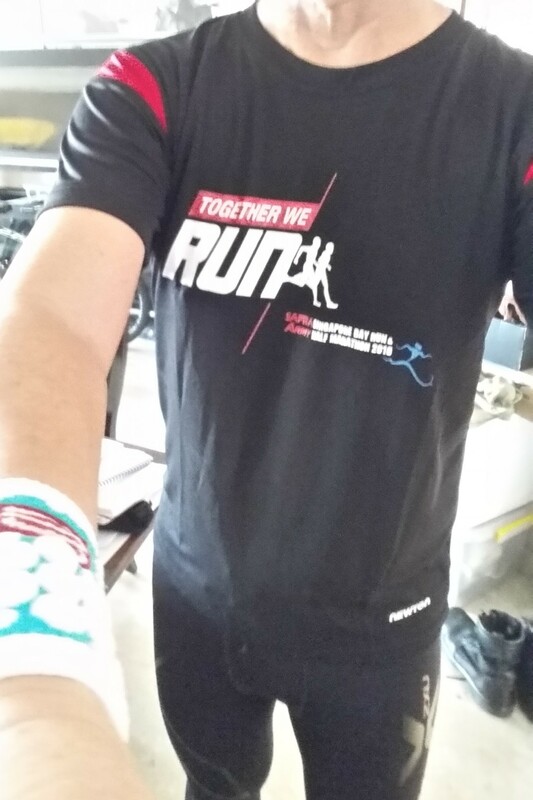 Till then, run happy, run safe !